Rent our highly addictive Inflatable Foot Dart Soccer Game. It will keep your guests wanting to play all night. Your guests have three opportunities to score as many points as long as they have good skill and aim. 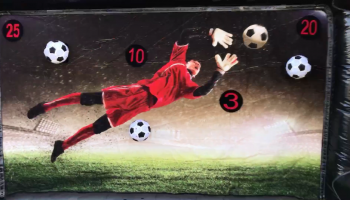 Players score single points as long as they kick the foot dart soccer ball on the goal without touching the goalie. 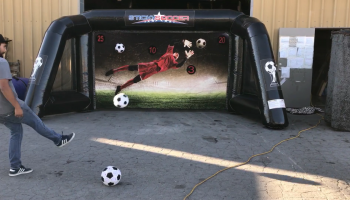 Additional points are scored if your guests can stick their ball on the Inflatable Foot Dart Soccer Game special numbered areas. PLEASE CHECK OUT OUR VIDEO TO SEE HOW IT’S DONE. 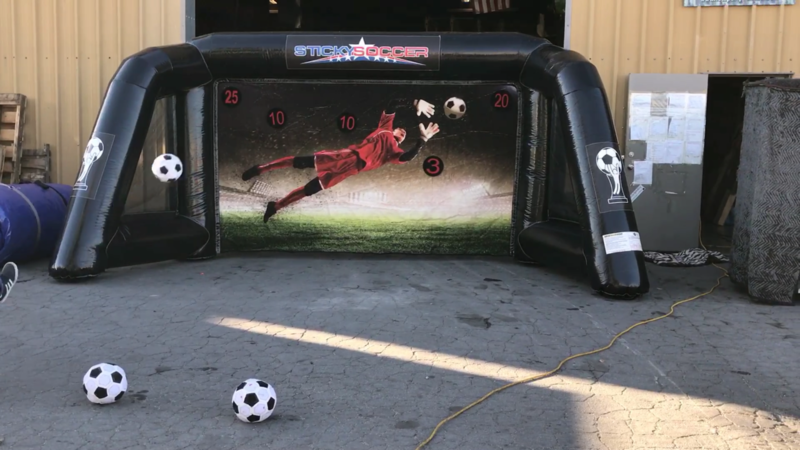 Our Inflatable Foot Dart Soccer Game is a one of a kind game. All our sports game rentals are aimed for sporting events corporate party rentals and school functions. Rent our Inflatable Foot Dart Soccer Game for your next world cup theme event. 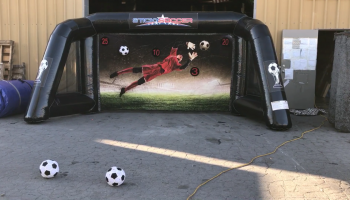 Renting the Inflatable Foot Dart Soccer Game is a great addition with our foosball tables and our amazing inflatable human foosball game rental. We rent all our sports game in the San Francisco, San Jose, East Bay cities. Give our office a call to have a special sports package designed for your next big event. We have a huge inventory of sports competitive games including football, basketball, baseball, hockey, golf, and even archery. We have you covered on all your competitive sports game rentals.